A mumps outbreak in Texas has reached a 20-year high. Public health officials have identified 221 cases of the highly contagious disease so far this year, and it’s not because vaccination rates are dipping in Texas. 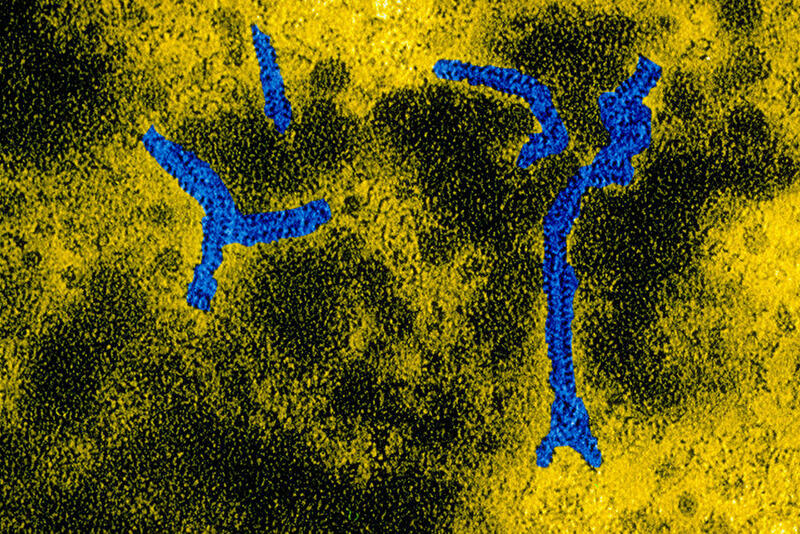 An electron microscope image of the virus responsible from mumps. Chris Van Deusen with the Texas Department of State Health Services said the outbreak actually has more to do with geography. So far the worst outbreaks have been in North Texas. The state also found a cluster of cases among people who visited South Padre Island for spring break. Van Deusen said he expects the numbers to continue to rise. Even though mumps is not something people really worry about anymore, he said, the state is asking Texans to be on the lookout for symptoms like swollen salivary glands on either side of the neck. Hotez said one of the bigger questions will be whether the state and federal Centers for Disease Control and Prevention decide to implement a third mumps vaccine in some areas. “That really depends on the circumstances, and if we are seeing an outbreak in a really defined community that can be helpful,” Van Deusen said. Texas allows parents to have their kids opt out of vaccinations for measles, mumps and other diseases. Two years ago, California stopped allowing those exemptions; a similar Texas effort fell short. This session in Austin, the sponsor of that bill isn't trying to end the "conscientious" exemption. His allies are using a different strategy. Outside of election year politics, few issues generate as much intense outrage – on both sides – as that of mandatory childhood vaccination. According to the National Institute of Health, public concern about the adverse effects of vaccines has been part of our conversation since the first smallpox inoculation by Dr. Edward Jenner in 1796. The future of a residential facility for adults with autism is in limbo after a vote by a city of Austin commission.